Nifty was introduced in 1996 and consists of heavyweight companies by full market capitalization. However, in June 2009, it shifted to the float-adjusted market capitalization-weighted methodology from the complete market capitalization-weighted index, i.e. (number of shares available for trading X share price). Nifty is the primary stock index of India. Like Bombay Stock Exchange (BSE) introduced Sensex, the National Stock Exchange (NSE) introduced Nifty. The index constitutes of 50 actively traded stocks from 24 different sectors. If Nifty is moving upwards, it means that all the heavyweight stocks of NSE across all the 24 sectors are moving up. Various mutual funds also use Nifty as a benchmark. The performance of these mutual funds is assessed against Nifty's performance. When various trade analysts talk about the Indian stock market, they are basically talking about Nifty and Sensex. 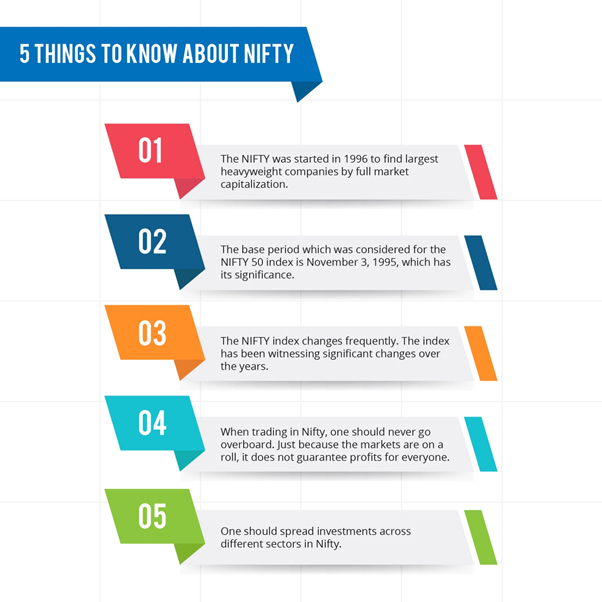 Below are five facts one should know about Nifty. Nifty was introduced in 1996 and consists of heavyweight companies by full market capitalization. However, in June 2009, it shifted to the float-adjusted market capitalization-weighted methodology from the complete market capitalization-weighted index, i.e. (number of shares available for trading X share price). This method excludes shares which are owned by regular promoters and includes only heavyweight companies with a significant number of shares available to outside investors and traders. The technique is used because it leads to liquidity and subsequently results in fewer chances of price volatility. The base period which is considered for the Nifty50 index is November 3, 1995, which has its own significance. The date marks the completion of one year of operations of NSE’s Capital Market Segment, which is why the above date was selected. 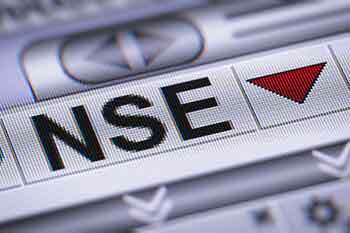 The required base value of the Nifty index was set at 1,000, and the base capital of Rs2.06 trillion was established at that time. The NIFTY index changes frequently. It has been witnessing significant changes over the years. More specifically, 89 changes were made to the index over 22 years. While trading in Nifty, one should never go overboard. Just because the markets are on a roll, it does not guarantee profits for everyone. People most often lose money because of lousy trading, greed, and adverse moves. It is, therefore, essential to keep a sensible head and only invest a certain percentage of one’s income. One should never fall for minor corrections, thinking long term is critical. One should diversify investments across different sectors in Nifty. It is important to invest money in a varied number of industries which are thriving, and it is always better to evaluate the sectors on a quarterly basis instead of yearly basis. Balancing out investments across different sectors minimizes risk. While considering how and when to invest in Nifty, one needs to be well-aware of the Indian share market.